Heading out as a skeleton can be pretty fun. There are all sorts of "bone"-afide puns to be made, people to scare, and creepy dances to rock on Halloween night. There is a problem, however. When you're walking through the darkly lit halls of a spooky party, the last thing you want to do is scare yourself. While we would love to see that happen to anyone, scaring yourself typically isn't considered a very attractive attribute. So here's an idea. Try keeping the area around you a little brighter by wearing a glowing skull. 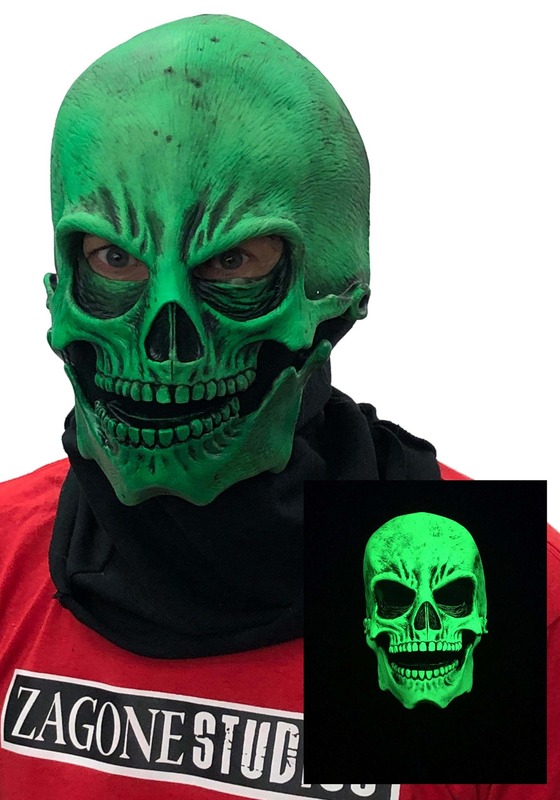 You'll scare people from afar with this dazzling green facade while keeping yourself safe from any mirror self-spooking incidents. Plus, your black light dancing skills are sure to hit another level when people can actually see your glowing rhythmic head bobbing. This latex mask is quite comfortable and is mounted to an inner lining that allows you to move your mouth so breaking into song has never been so fun! 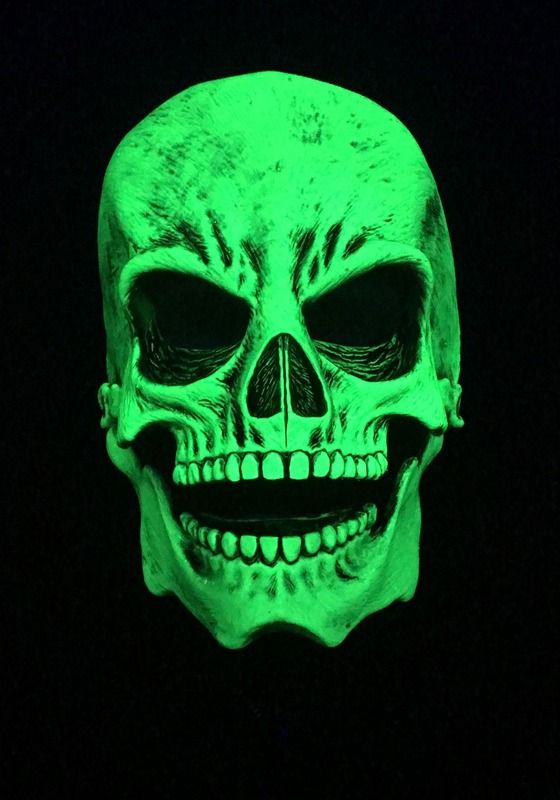 The paint reacts to any black light so it works great for haunted houses and spooky dances. Finish off any of our skeleton looks or simply pair it with your normal clothes to easily hop into the holiday spirit. After all, skeletons can wear anything they want to. You can live your best afterlife now that your head is only a skull. You've just risen from the grave, you deserve it! 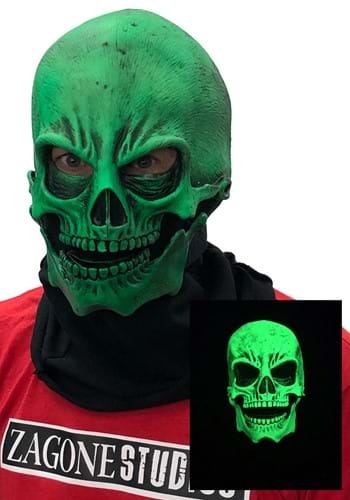 So if you want a new take on a gravely classic subject you'll love using this phosphorescent mask. Want to stage an afterlife takeover? Pair this costume with a few other costumes such as other skeletons, ghosts, zombies, or even mummies. In this spooky, scary season we all could use a little more day-glow!